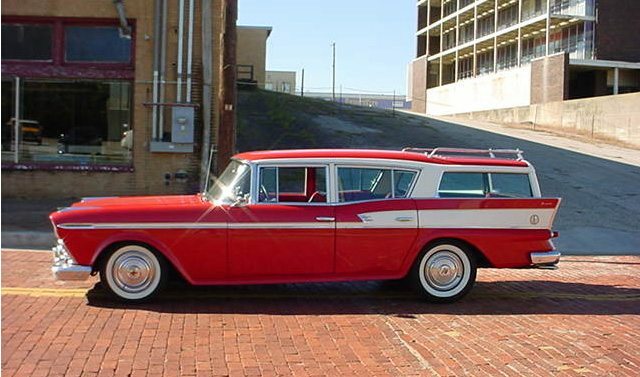 Wearing a surface rust patina only a Western car could develop is this Ebay find 1961 AMC Rambler. 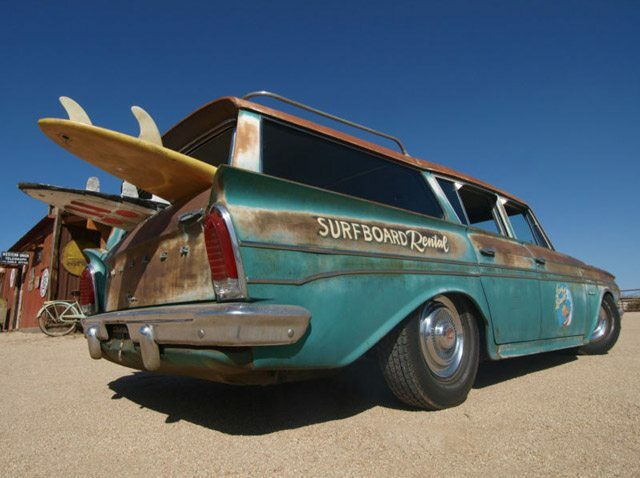 Period looking graphics have been added and the well worn interior completes the derelict rat rod surf wagon look. 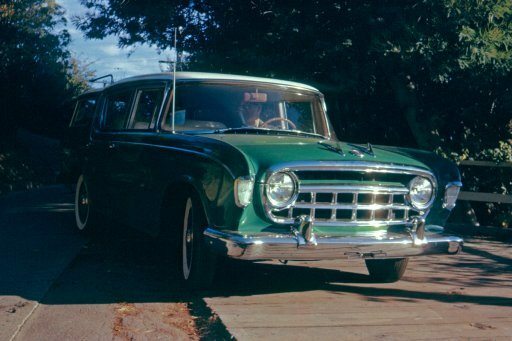 Take a close look at the front of the car and you will see the ‘Rambler’ is now a ‘Remblar.’ The driving surprise of this wagon is the four way independent air bags that can be controlled by the driver under the dash. 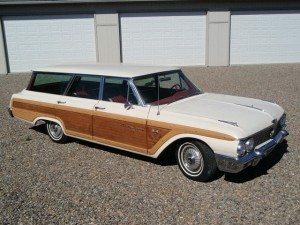 The wagon is said to drive well with its 6 cylinder engine and power brake and steering setup. Sensible and economic as Ramblers and their owners tended to be, this well preserved Cross Country was owned by the head lifeguard form the city of Santa Barbara form new until his death in 2008. 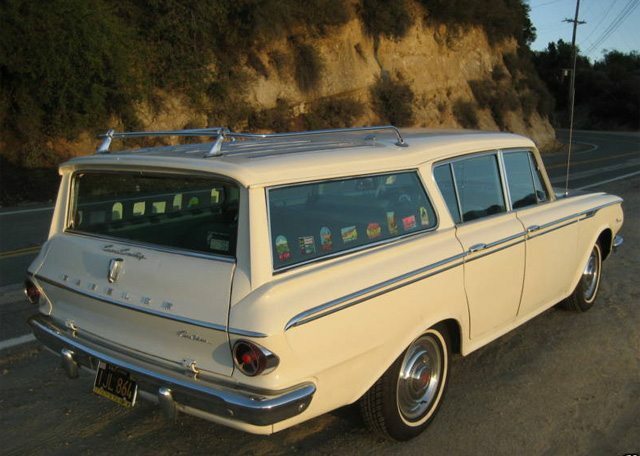 Having walked to work most of his career, the Rambler has amassed only 49,00o miles on the odometer in it’s lifetime. 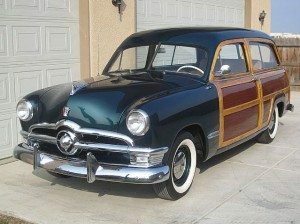 Offered on Ebay the Cross-Country station wagon model 6218-2 came with the following factory options: 3-speed push button “Flashmatic” transmission, HD cooling system, back-up lights, “Weather-Eye” ventilation system, full reclining seats, blue tinted glass, oil bath air cleaner, oil filter, padded dash, HD springs, twin circuit brakes and the “Custom” trim level. 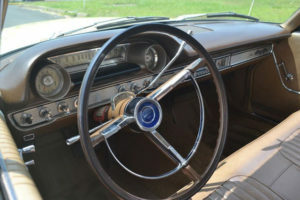 Offered on Hemmings for $19,800, this low mileage California car has 1 repaint on a rust free car. 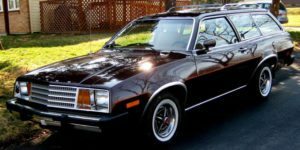 With V8 power, power brakes and a new set of radials this wagon is ready to go.